Be the first to hear about their new releases and deals. Download the Booksprout app and search for Catherine Ulrich Brakefield today! Catherine is an ardent receiver of Christ's rejuvenating love, as well as a hopeless romantic and patriot. 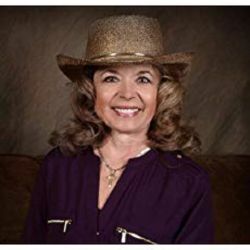 She skillfully intertwines these elements into her writing as the author of The Wind of Destiny, an inspirational historical romance, and Images of America, The Lapeer Area. Her most recent history book is Images of America, Eastern Lapeer County. Catherine, former staff writer for Michigan Traveler Magazine, has free lanced for numerous publications. Her short stories have been published in Guidepost Books Extraordinary Answers to Prayers, Unexpected Answers and Desires of Your Heart; Baker Books, Revell, The Dog Next Door; CrossRiver Publishing, The Benefit Package. Her inspirational historical romance, Wilted Dandelions, is scheduled for release by CrossRiver Media in 2015.